Marketing your ecommerce store can turn out to be quite a challenge. Right from understanding the ideal customer persona, identifying the right products to promote in your campaigns, bringing in traffic to your website, to ensuring that visitors have the shortest path to purchase on the website. A Marketer’s playbook can get quite complicated. While there is no foolproof way to understand human behavior and deduce a perfect formula to crack the marketing for eCommerce code, using relevant data to drive your campaigns and other marketing decisions are the closest you can get to strike the perfect chord among visitors and/or customers. 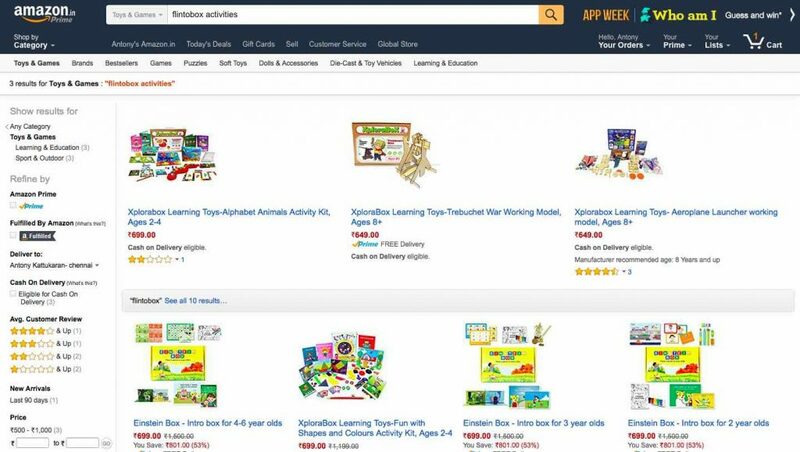 One of the key decisions an eCommerce store owner needs to make while setting up digital campaigns is to identify which SKU to promote. Tagalys analyzes every attribute assigned to each product to calculate a proprietary t-score, which is indicative of the popularity of a product within the store. 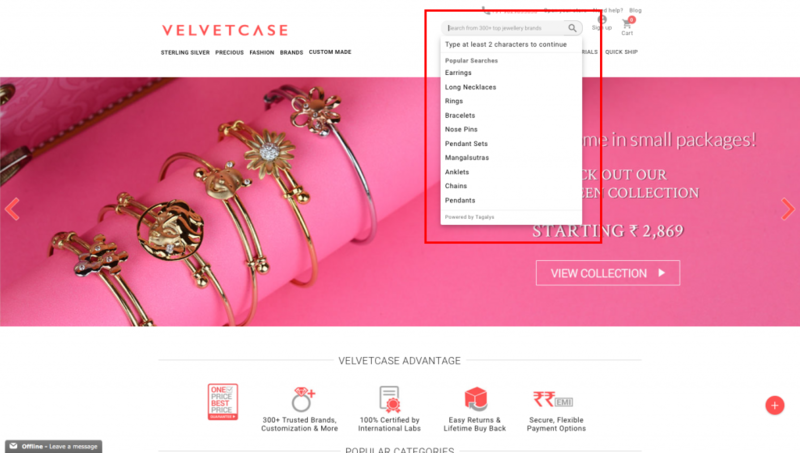 Key metrics like the number of views, add to carts & purchases by segment etc. are factored in for the t-score. 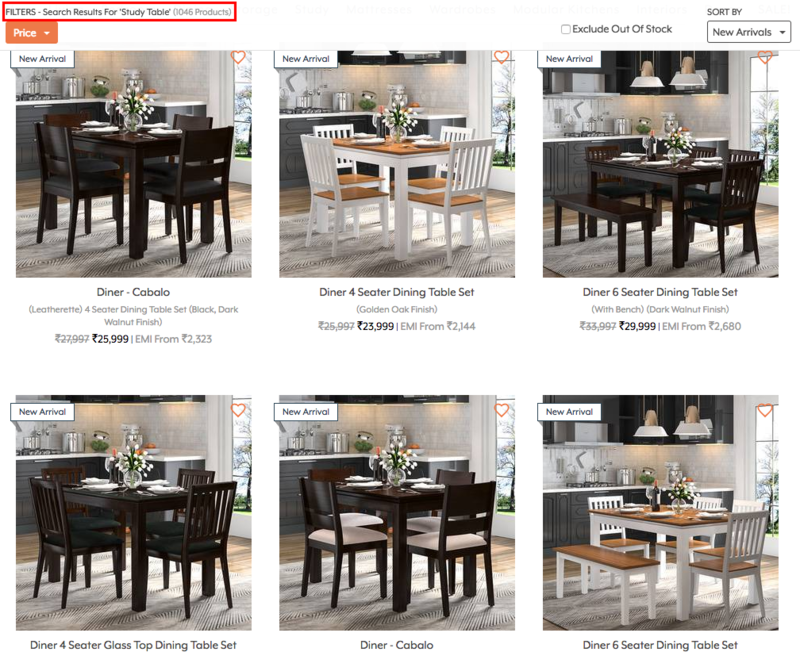 This will help in identifying the most popular / highest selling SKUs, which can then be used in your digital campaigns, ensuring the best possible click-through rate for your ads. This will also help in bringing in more traffic to your website, as compared to a non-data-driven SKU selected for the campaigns. The t-score would give you the most popular product, but what if you wish to promote a seasonal product or put a few products on sale, and want it to be at the top or a specific position in your listing page? 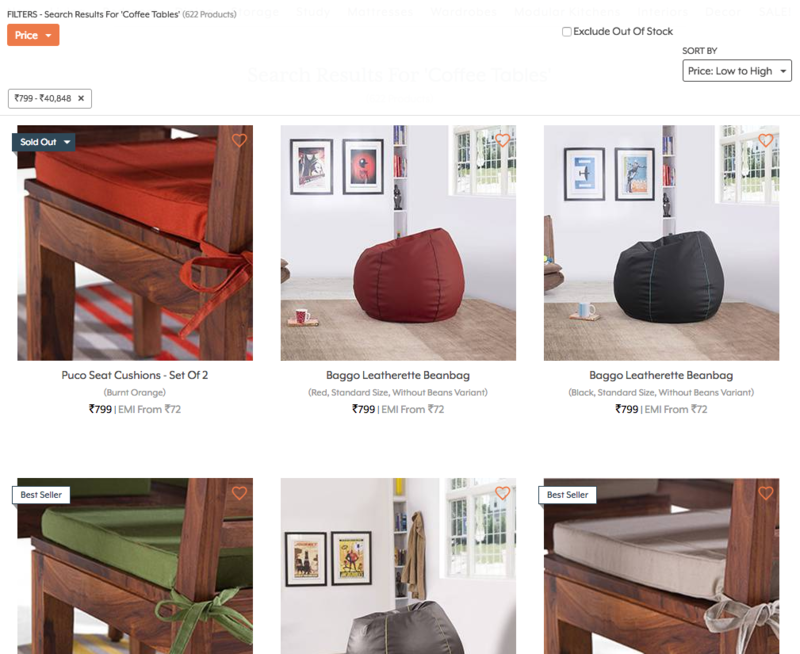 Tagalys makes it super easy for you to move around the products manually, with a simple drag-and-drop experience. So, whenever you feel the need for human intervention to override our data-driven algorithms, there is no need for coding to sort your products. 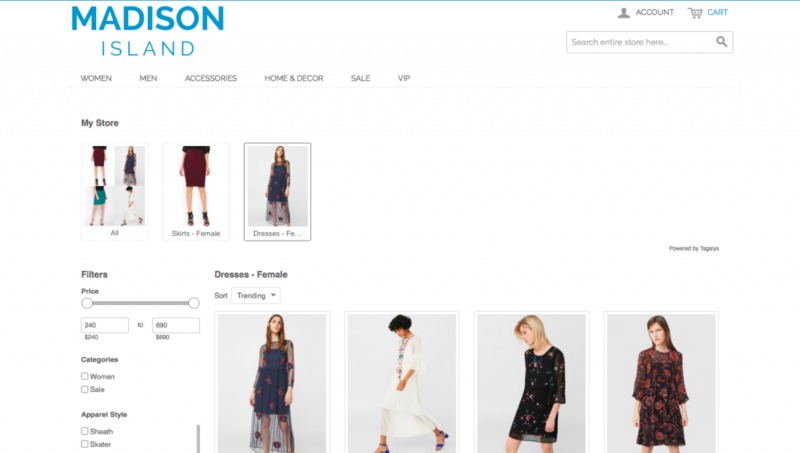 Just drag and drop any product to any position that you wish. It’s as simple as that. Though this is something which would fall under the purview of the engineering team, generating category pages plays an equally important role in a Marketer’s playbook. Did you know that the number of listing pages in an online store is directly proportional to the probability of the store attracting organic search traffic? 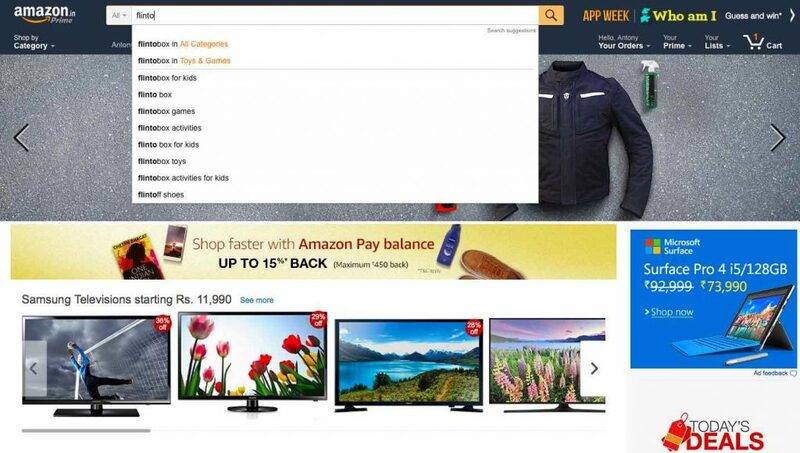 That’s how Amazon gets its vast amounts of traffic. Creating listing pages on Magento or Shopify can be quite a tedious exercise, with each page taking 30 – 60 minutes, at a minimum. Plus, the customization options available are limited, i.e. creating a page for “Blue shirts” could be a tad easy, but creating a page for Blue shirts for weddings might be a bit more challenging, owing to the sheer amount of manual intervention it requires. Now, with Tagalys’ proprietary listing page generator tool (which is also patent-pending), you can generate dynamic listing pages with automated SEO optimized content in a matter of seconds. You can literally create hundreds of search optimized pages in a day. SEO. One of the biggest challenges for an online store. Having to optimize each and every aspect to optimize your page for organic traffic can be a painstaking task with the sheer number of individual pages for an online store. With Tagalys, you can now add multiple SEO variables without any tech support – right from instantly modifying your page URLs to adding the relevant tags. Tagalys powered pages also have dynamic product sorting and content refresh, to keep the pages fresh and new at all times. This, in turn, helps your pages rank higher on SEO and Google searches, improving the discoverability of your pages through organic search. There’s a lot more you can do with Tagalys as a Marketer. Sounds exciting and you would like to learn more? Book a Free Demo today with us today. Magento is one of the world leading e-Commerce platforms that help retailers sell online. 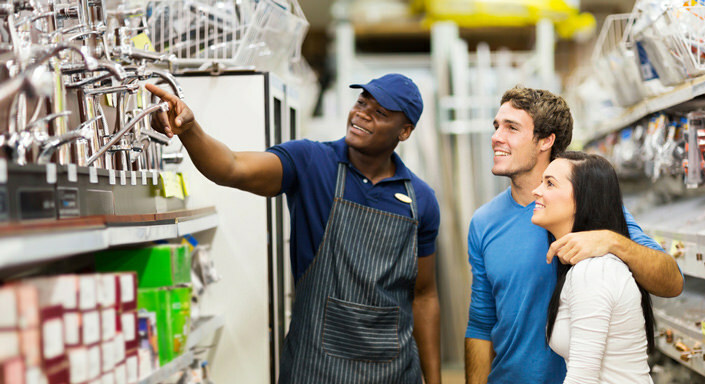 It is easy to use and has features to help setup complex product & store configurations. But it also has some disadvantages, one of which is the intuitive ability to create product listing pages. Visual Merchandising from Tagalys allows teams to create product listing pages, with minimal assistance from your development or tech team. It was designed with creative/ non-tech users in mind, with a visual interface allowing you to easily create, curate & modify product listing pages. Pin products: Paste SKU’s, drag & drop products, select multiple products and choose a position to pin them. There are so many visual ways you can create a product listing page to suit what is best for you. Page heading: Help your visitors engage better, by giving a heading to the product listing page. Catalog updates: Pages created by Tagalys, are updated between 24 hours to 10 minutes, depending on the plan you are in. 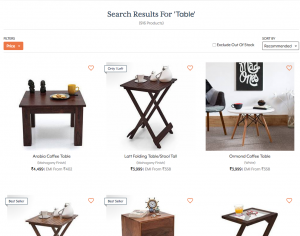 Urbanladder.com is one of the leading venture funded curated online furniture sellers in India. Yesterday I met with Ajay (Advertising professional) regarding a new Tagalys initiative, when he enquired if we powered Site Search for Urban Ladder. Unfortunately we do not, as their engineering budgets, allowed them to build, manage & continue innovating their site search needs. 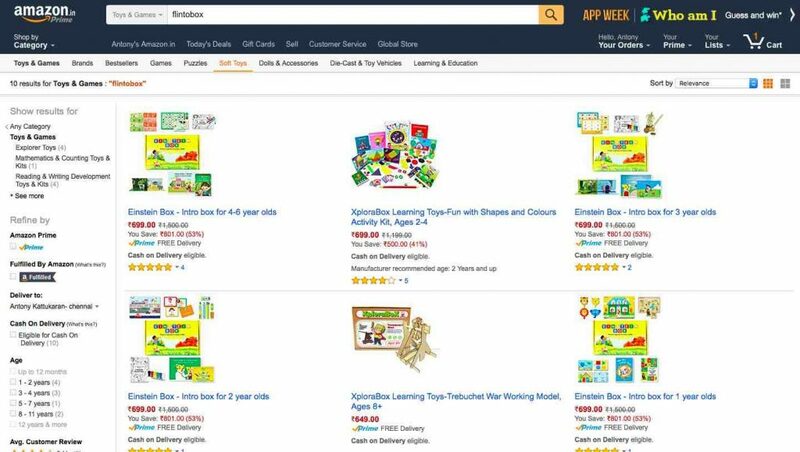 But the conversation with Ajay led to him sharing frustration in his search experience, especially cause he expected more as available in leading sites like Amazon.com. And add to this he was engaging with Urban Ladder via a mobile device, this frustration multiplies. Digging in deeper, he shared specifics of what was missing, so we thought we share this feedback with the engineers at Urban Ladder to help them continue working towards delighting their online visitors. Both mobile & desktop versions have an expanded search bar, that is visible to visitors on the home page & other product listing pages. What could improve is a more central location with a highlight and a clear call to action to nudge visitors to Search quickly, discover products and engage with Urban Ladder. Predictive suggestions are generated as the visitor continues typing the search query. UL either runs the partial query through historical searches, inbuilt suggestions or a combination of both to show a prioritized list of 8 completed suggestions. On the outside this checks the box, but the key metric is the CTR from suggestions to listing page views and lets assume this is also done by the team. What could really improve is the way the suggestions are presented to the online visitor. It does not break down the suggestions into a category, subcategory or other attributes that matter to the visitor, thus preventing any chance of a search results drill down, thus shortening time to product discovery. 80% of visitor are likely to engage with less than 3 actions (scroll, sort, filters) on any listing page pages. It is critical to utilize segment analytics of engagement data to understand and predict what visitors want. That prediction when applied to each search query, shows the products in the order of highest probability of conversion, thus increasing the products viewed from search results. 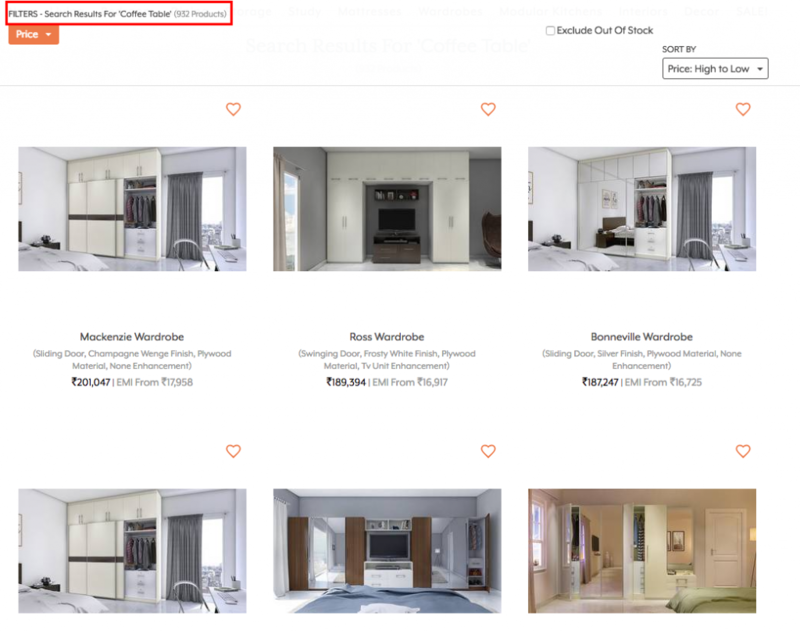 At Urban Ladder keyword relevance plays a big part as products are displayed in the search results if the keywords are available in the product table. There is no filter being applied at the Search or options to drill down the search results. The default sort is called “Recommended by” which we assume considers engagement data across the site for a period X. Search for “Coffee table” when sorted by Price. UL should allow visitors to drill down into a category or subcategory right from the Search Suggestions or from a filter in the search results page. 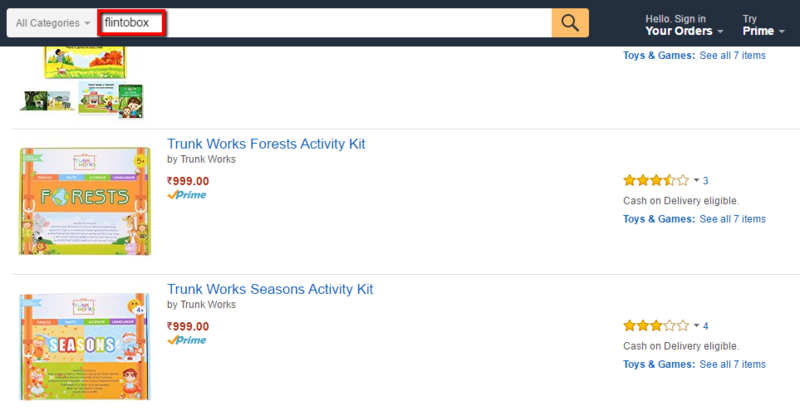 This will improve the quality of search results displayed when Sorts or Filters are applied. Only available filter is price on desktop & mobile. 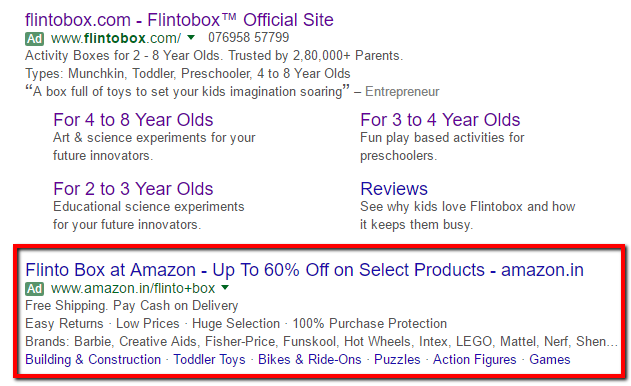 While price is a critical filter, its value is eroded when the search results are no longer relevant on application of the price filter as seen below. 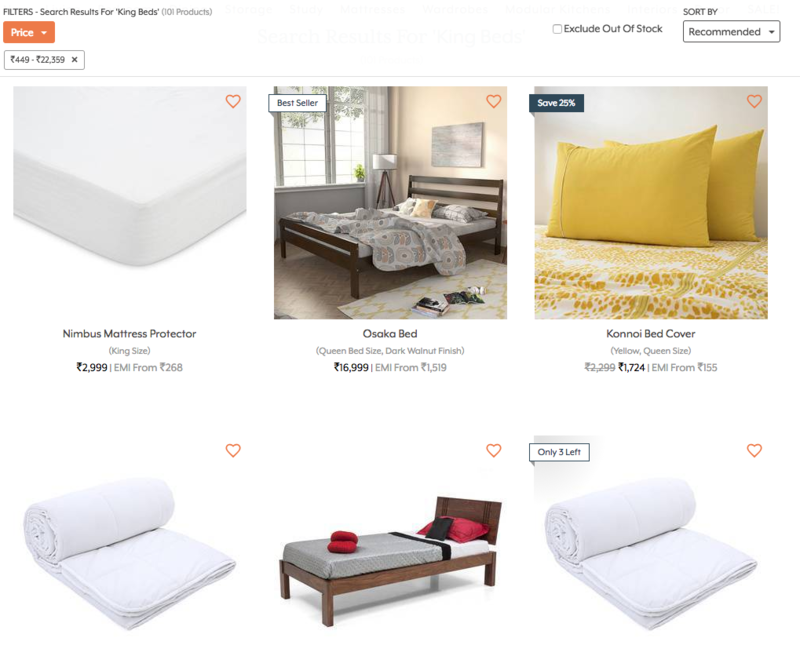 In the category of Home decor / Furnishings, we recommend adding filters like Category, Sub Category, Fabric, Material, Color, Discount/Savings as a bare minimum, to help visitors quickly drill down and find something of interest to them. All obvious sort options expected by visitors are available although it is unknown why “Sort by Discount” is only available in the mobile app. 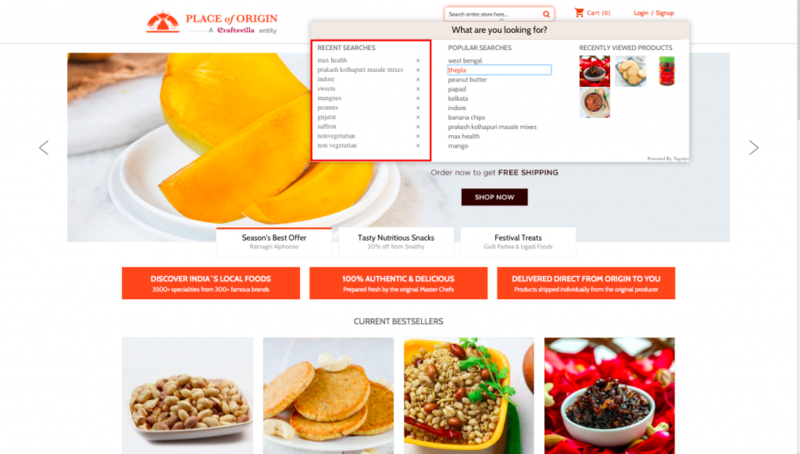 The default sort option is “Recommended” which we assume is a product sorting based on some form of visitor engagement analytics over period X for the search query. Visitors search the same products in the singular & plural forms and others.. Urban Ladder has enabled stemming to showcase the same search results for both. An easy to implement feature, helpful to visitors but not implemented. Have feedback or comments contact us! Find pricing and Site Search products from Tagalys here. In the last 5 years of building various companies and products in the eCommerce vertical, great Site Search experience has been a driving force to build engagement, conversion and revenues. But this is not always the case when done incorrectly. 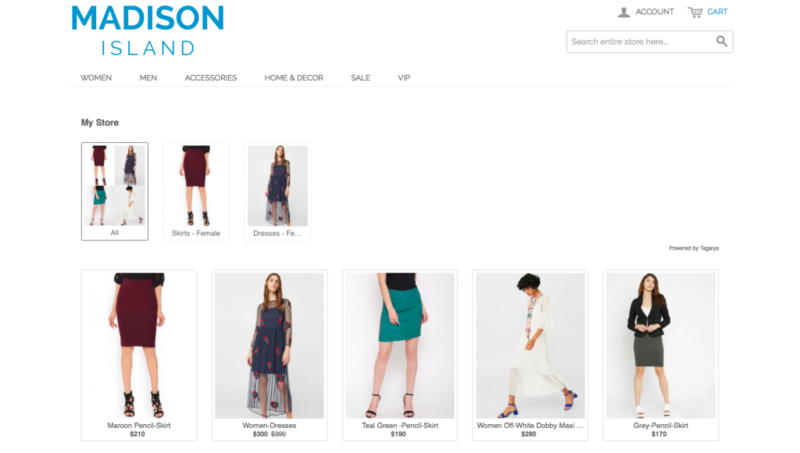 In a time when leading retailers push Site Search as a primary call to action on the home page, there are others who have hidden their search bar or made it almost invisible due to bad experience that negatively impacted engagement, conversion and revenues. So what factors help deliver great search experience? Here are some of the basic requirements you need to consider when building or buying a product aimed to deliver the best site search experience. Interested already – Sign up now. If you intend to have a Search solution that does not rely of visitor engagement analytics, our recommendation is that you should probably use an open source solution like SOLR, Elastic search etc, and configure it properly. An intelligent search product is expected to not only show relevant results (SOLR can do that), but also use analytics to sort it based on what may convert best for the entire site, for a certain region or for a certain individual. If all you need is to show relevant results, please do not waste money on buying a product, Sign up now and ask for FREE search from Tagalys. You will love it. 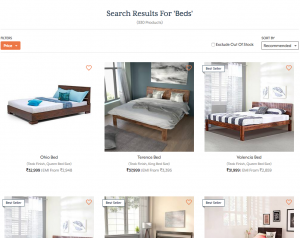 A great start to the site search experience is to load the popular searches that were conducted in period X for that retailer when a visitor clicks on the search bar. This is scheduled to load before the visitor starts to type something, cause predictive suggestions are expected to be generated from the point of query entry. Popular searches are a good engagement feature as they are indicative of what searches have been trending in the site. This can be client configurable to decide the variables that decide what popular searches to show the visitors, as each client is unique from the other. It is imperative to ensure that clicking on a popular search does not lead to a page with no results, hence the assumptions that lead to determining that should be collected from the retailer. This requires search analytics to be installed and running and frequency Y to generate the searches. Interested – Sign up now. Recent searches is a simple feature that eases search experience for online visitors. Most visitors take more than one visit to complete their purchase. Search queries are repeated by visitors to continue finding what they seek to buy. Recent searches feature, saves visitors time and lowers friction as all they need to do is click on what was recently searched vs. having to type the same query each time they visit. This feature does not require analytics and is actively used in all leading ecommerce sites as its saves visitors a lot of effort especially in mobile devices. Interested – Sign up now. Search suggestions are expected to be predictive (fill as you type), to help visitors quickly find the relevant suggestion, without having the type the complete search query. Find more details on the requirements in another article we wrote targeting Magento, but the same principle works here. Interested – Sign up now. The result of the Site Search journey is to find relevant, trending or personally relevant results to help visitors quickly find what they seek. Incorrect search results are blasphemy in the world of search experience, hence we will assume results shown are accurate. Interested – Sign up now. The disadvantage of using open source search like SOLR is that analytics are not considered in results. Hence your visitors may not find the most relevant results in the top pages. Now how often do you visit page 2, 3 or 4 on search results in Google? Probably never. This coupled with the fact that mobile devices show 2 or 4 product per page scroll, make it important for the retailer to show what is relevant to each user right on top. If not, this will definitely lower your conversion rate. While you may cost by using open source, you will lose far more in revenue by not using intelligent or personalized search. Interested – Sign up now. Now that you have your visitors engaged with the right search results, you need to help them drill down. Most of them do not have time to keep scrolling and if they do, there is a high probability they will get distracted and stop the process. YOU LOSE A POTENTIAL CUSTOMER. Make sure you have the right filters or facets for the search results displayed. Showing all available filters for all search queries is amateur and makes your business look very unprofessional. E.g., Having “Shoe type” shown as a filter when ‘Dresses” have been selected from the filters. Make sure tags displayed within the filters are dynamic, to only show tags that have minimum results. You do not want your visitors running into dead ends, they will leave your site and shop elsewhere. Interested – Sign up now. A well defined search bar is critical to get your visitors to want to search. You may have invested in search technology, but without a clear call to action for search, NONE of the above intended actions from your visitors will ever materialize. There is enough data to prove that search is a low cost high revenue driver. If search experience is not delivering a higher conversion rate vs. regular listing pages, it is not because your visitors do not want search, it is because the above features have NOT been configured properly in your search experience that is being delivered to your visitors. Interested – Sign up now. We recently shared a detailed post on the need for Search in eCommerce where we refer to the Search function as speaking to a sales person in a brick & mortar store. So lets continue with the same analogy here. As a retail store owner, your in-store sales person (search), is interacting with visitors and getting to know their interest in products, colors, fabrics, specifications etc., every minute detail of interest is explicitly shared by your visitors during the search process. This is further fine tuned by the selection of filters to drill down and find that product that will convert them to a customer. This treasure trove of data (search queries & filters) should be used by your marketing and planning teams to improve the topline and bottom line of your business. 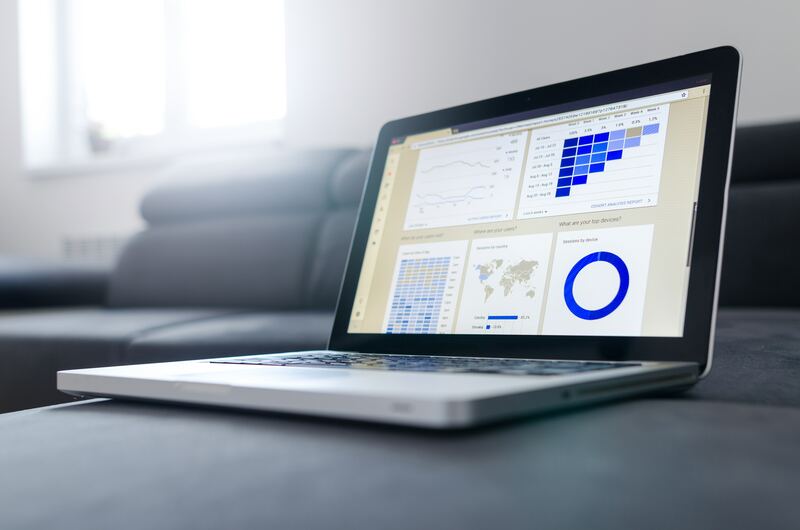 With access to search data and resulting visitor engagement details for these queries – impressions delivered, what was clicked, position of clicks, time spent, visitor segments etc., your team has data to understand what your customers seek. For example, if the top search query in New York City, is for “Kohler Faucets” and in San Diego is for a “Moen”, for the same data period across segments, it would be wise to promote products that match that query or specific products within that query in your SEO and SEM campaigns, geofenced to New York city and San Diego. This process of creating focussed marketing campaigns to target each customer segment is bound to deliver higher ROI for your digital marketing budgets. The only caveat is that you need “enough” data to make sense out of it. Search data can also be used to decide what banners within the website, to guide visitors to a landing page with relevant results. Our advise on home page banner strategy is to dedicate 2/5 banners to Search data (historical data) and 3/5 banners to external trend data. Hence if your top site wide searches are “Faucets” and ” Moen”, create a landing page dedicated to these two keywords, that include products which received the most engagement for these keyword searches and maybe throw in an offer or incentive, to accelerate engagement, conversion and revenue generation. Analyzing search queries gives you access to customer demand data. This can be used to better plan stock to ensure supply meets demand. For example, if your customers are seeking “Ruby rings” and only 5% of your stock in rings contain the Ruby stone and over 50% is Diamond rings, there is a good chance, you are going to be subject to low inventory turns. This is not good for your cash flow and will drive the “Discounting” act if you need to move the stock. Stocking products that are in demand could increase the probability that customers are less inclined to discounts as they need it NOW.